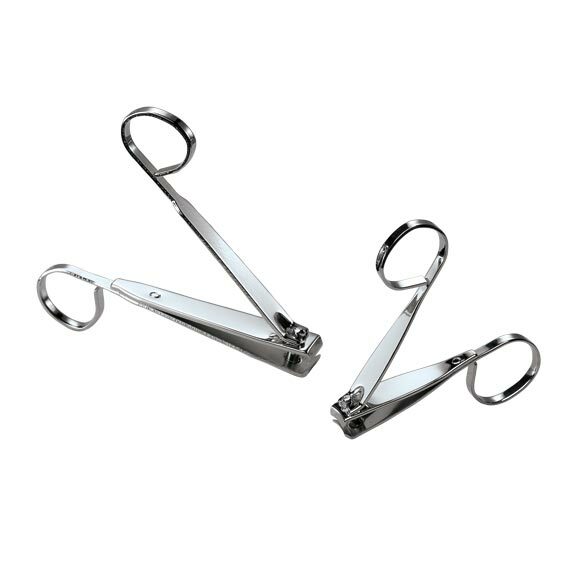 EZ Grip Nail Clippers’ loop-handle design makes gripping and squeezing easier, to comfortably trim even thick nails. Chrome plated metal. Small, 3″ long. Large, 4 1/4″ long. Vintage safety razor features a double-edge blade and perfect angle. 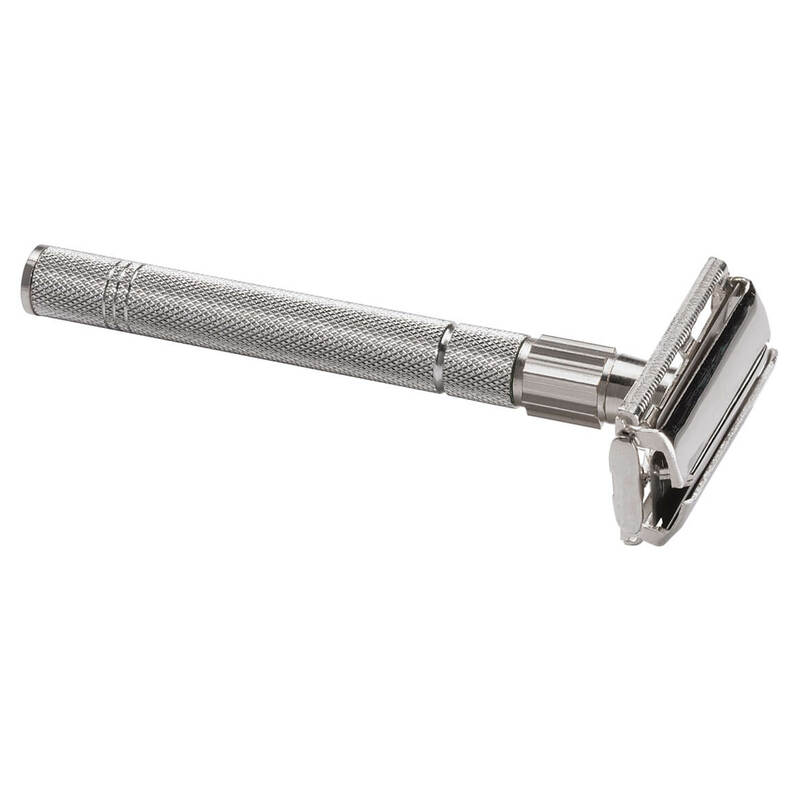 Our vintage stainless steel razor also has criss-cross tooling on the handle for a non-slip grip. Yields a smooth, silken shave every time. Comes with 5 replacement blades. 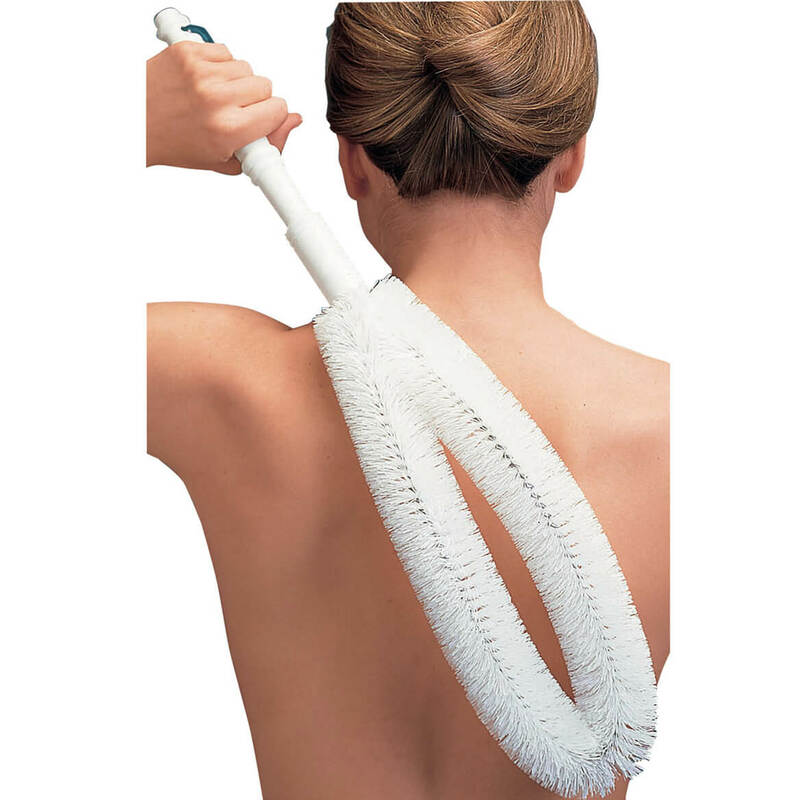 Reaching nearly 2′ for easy back scrubbing, this contoured back brush offers ultra cleansing without stress or strain. Long handled back brush gentle bristles exfoliate for silky, soft skin. Wire, polypropylene. 22 3/4″ long. 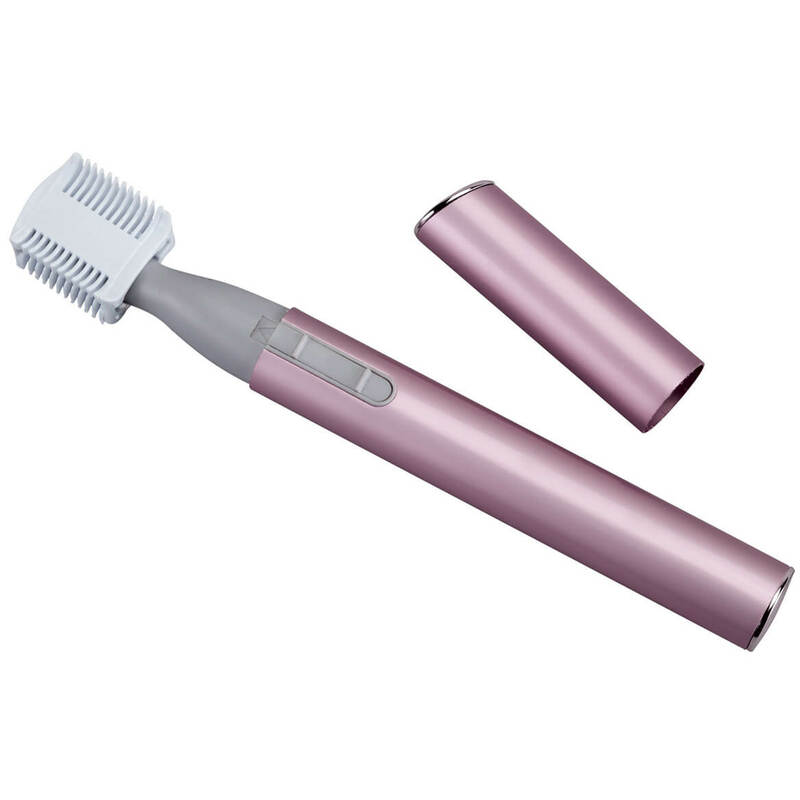 Easy-to-use facial groomer gently removes face and neck hair at the skin’s surface. Skin-safe hair clipper blades eliminate pulling, tugging and expensive salon visits. Face trimmer includes bonus brow attachment for simple, do-it-yourself shaping and storage pouch. Requires 1 AAA battery (not included). 5″ long. Freshen up your face with an ultra-fine, silky mist of steam. This sleek facial nano steamer uses 140kHz technology to create a mist that transforms dull, dry skin into refreshed, healthy looking skin. Nano particles of steam moisturize and soothe skin without disturbing your makeup. 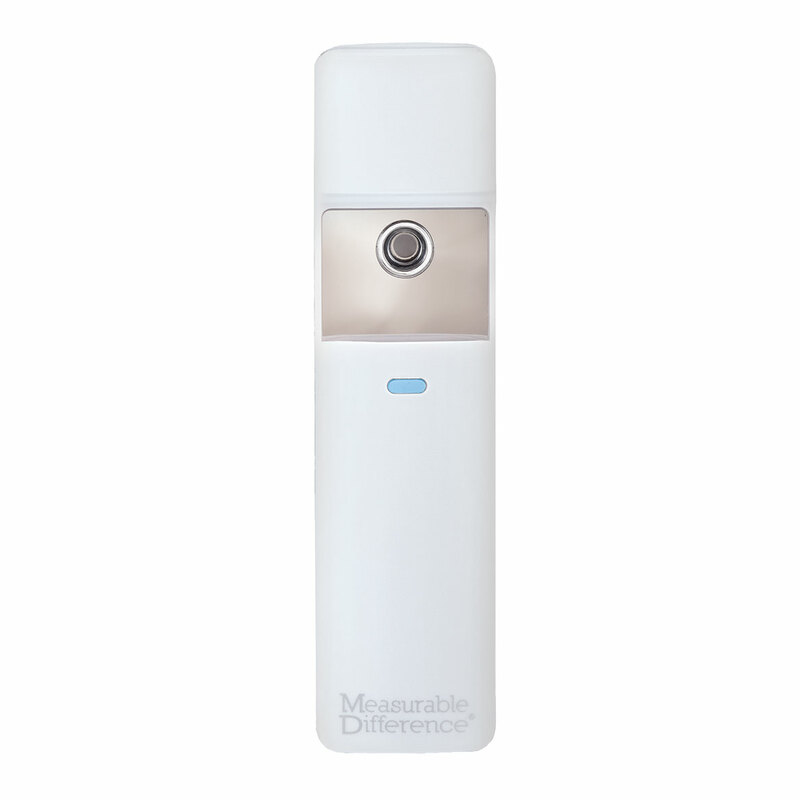 Compact for easy portability, this face steamer is a subtle way to refresh your face. Use with water or toner for a more hydrated looking complexion. Rechargeable, can be used up to 100 times before charging with the included USB connector. Includes a water dropper to fill the mini-tank with water or toner. Each mini-tank refill lasts up to 10 minutes. 1 3/8″ wide x4 1/2″ high when closed, opens to 5 5/8″ high. 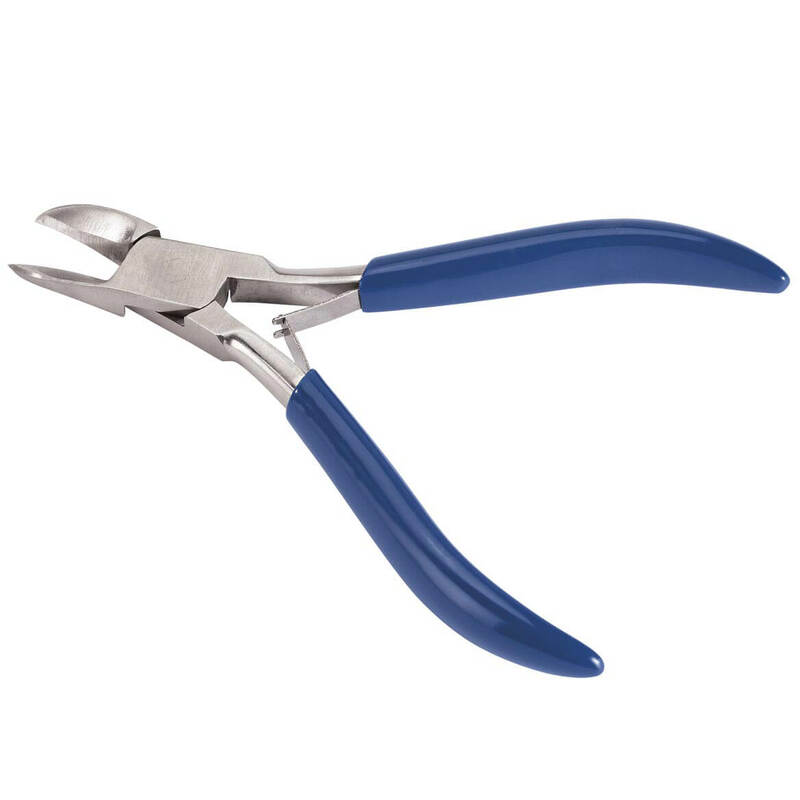 Heavy-duty toenail clippers help you maintain nails with less pain. Surgical stainless steel nail cutter features curved blades for safer, easier trimming of ingrown nails. Non-slip rubber grip allows for safe, steady control while trimming even thick, hard-to-cut nails — ideal for anyone with limited strength or dexterity. Nail trimmer includes cap for safe, convenient storage. 4 3/4” long. This long reach comfort wipe extends your reach by 15 3/4″. This long reach comfort wipe’s soft, flexible head features unique, release button for fast, sanitary disposal of toilet paper or pre-moistened wipes. Comfort wipe makes personal hygiene easier for anyone with mobility or dexterity challenges, helping maintain daily independence. Sturdy plastic with easy-grip, silicone handle. Maintain your independence in the bath with this handy curved bath brush. 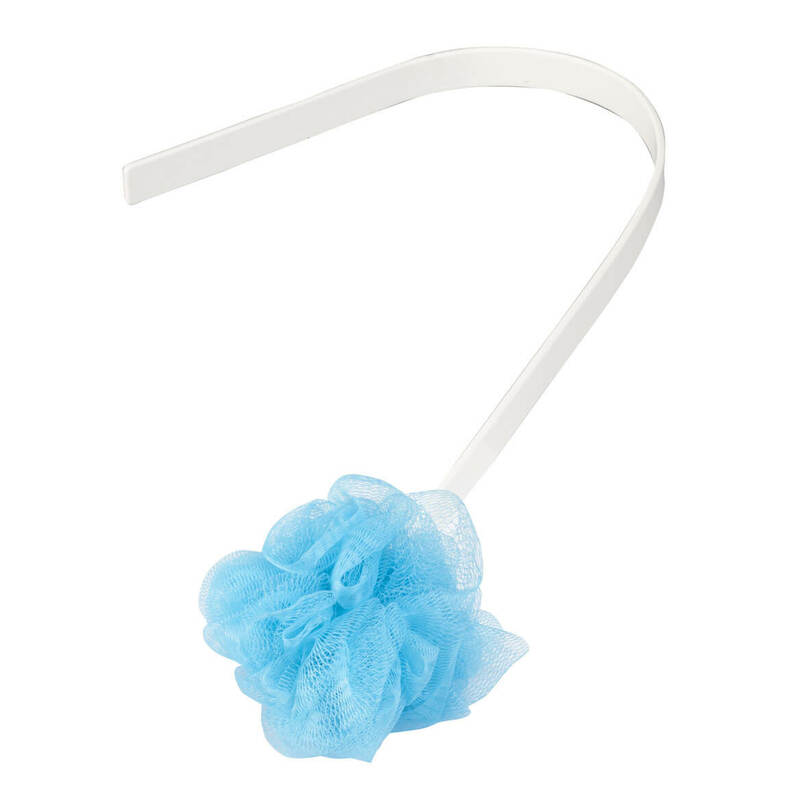 Its unique C shape with an easy-lather mesh sponge on one end helps you scrub hard-to-reach areas such as your back, legs and feet without straining. Perfect for anyone with arthritis or limited mobility, the shower brush’s ergonomic handle is easy to grip and hangs for quick drying. Back scrub brush measures 28” long. 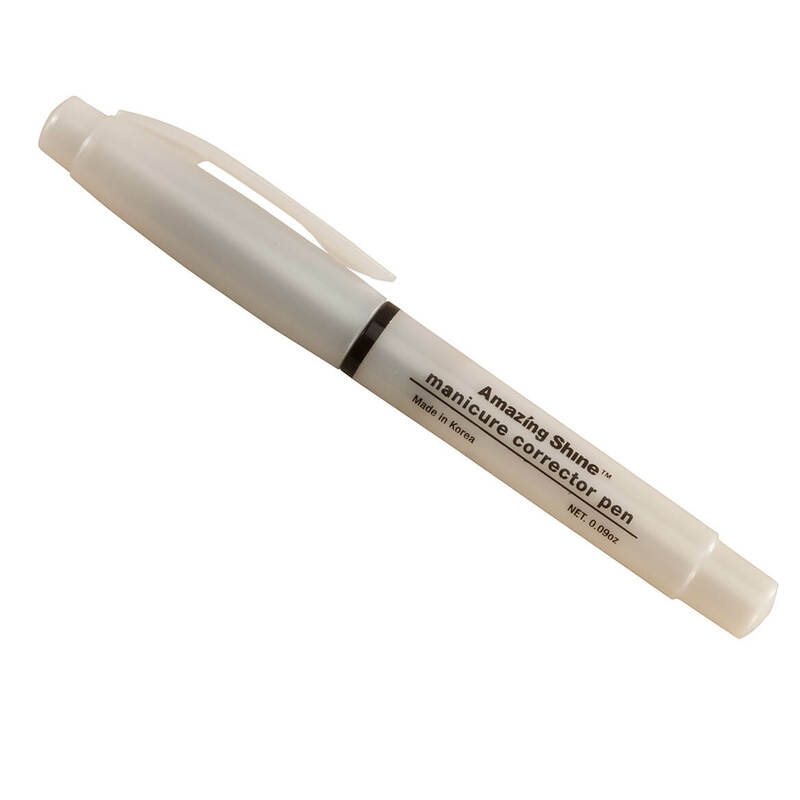 Give yourself a perfect salon quality manicure at home with the help of this convenient manicure correction pen. Instantly removes any polish mistakes for a flawless mani. Fast and easy to use, no messy nail polish remover bottles. Acetone-free formula. To use, remove the nail polish pen’s cap and hold as you would a pen and press lightly against misapplied nail polish. Wipe the tip on a tissue between each use. With the reach of a towel and ease of a washcloth, this Easy Reach Back and Body Washcloth™ extends all the way around your back—simply grab the washcloth with both hands for a thorough, easy scrub, reaching that elusive middle of your back! No more bending, twisting or straining to clean hard-to-reach areas; the washcloth towel even scrubs bottoms of your feet so you don’t have to bend. Makes bathing and showering easier, especially for anyone with limited mobility or dexterity. 100% cotton; machine wash. 47″ long x 8″ wide.